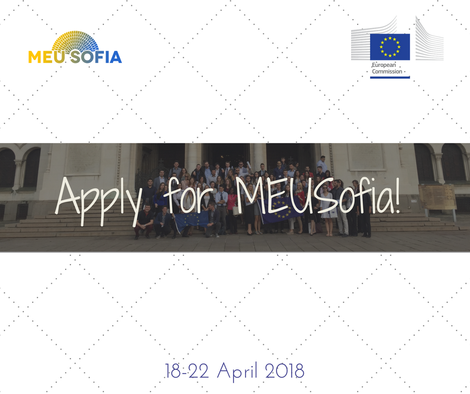 APPLICATIONS for #MEUSofia2018 are officially OPEN! After amazing previous edition, Model European Union Sofia is back! Bigger, more ambitious and more dedicated to bring you the best experience you can get in a #ModelEU simulation. This year’s edition will also be extra special because of the current Bulgarian Presidency of the Council of the European Union and we have chosen our topics - The European Future of the Western Balkans and the Regulation for a European Sustainable Development Fund. There is no participation fee, and accommodation is provided! You only have to bring your best MEU-A-game and have an unforgettable and fun learning experience!